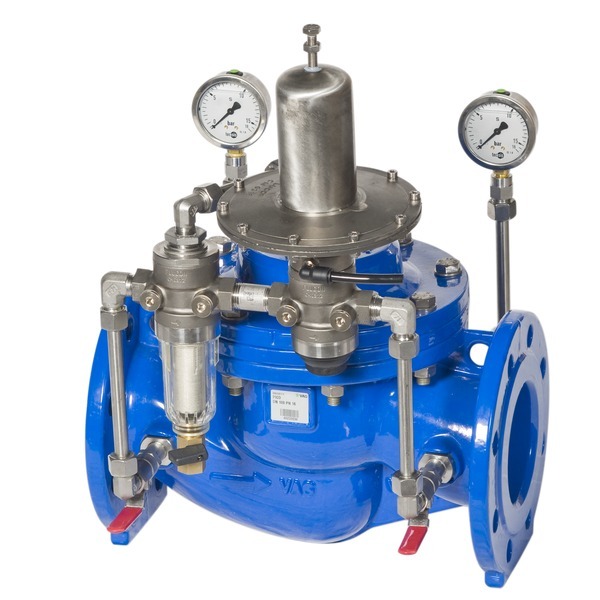 Control valve with own-medium control for the regulation of pressure and flow rates in service areas without external power supply. Long service life due to the hard-faced and thus wear-resistant, corrosion- and infiltration-proof seat. The threaded steel sleeves pressed into the body (CORFIX) prevent uncovered spots of the casting and corrosion in the connections of the control lines. Suitable for use in water distribution applications and in pressure management.